At least 147 people, mostly students, have been killed in an assault by al-Shabab militants on a university in north-eastern Kenya. Four of the gunman were eventually surrounded in a dormitory, and died when their suicide vests detonated. It is the deadliest attack yet by al-Shabab. Eric Wekesa, a student at Garissa, told Reuters he locked himself in his room before eventually fleeing. Nine critically injured students were airlifted to the capital Nairobi for treatment, disaster management officials said. Al-Shabab says it attacked the university because it is at war with Kenya, BBC Africa analyst Mary Harper reports. The African Commission on Human and Peoples’ Rights (the Commission) is closely monitoring the human rights situation in Kenya and Somalia, which is afflicted by repeated and violent attacks by the terrorist group Al-Shabaab. The Commission expresses its indignation and is deeply concerned by the escalating human rights calamities in the region created by deliberate and ruthless mass killings of civilians, including children, women and university students. The Commission is particularly appalled by the recent attack on Garissa University College in Northeastern Kenya, which targeted young students and allegedly killed 147 innocent civilians, including University staff and students. The Commission wishes to extend its condolences to the families of the victims and the people of Kenya and wishes to reassure its solidarity with the Government and the People of Kenya at this difficult time. The Commission recognizes the role played by Kenya in the fight against Al-Shabaab as part of the African Union Mission in Somalia (AMISOM), and urges that military operations conducted by the Government of Kenya, in response to these attacks also be in a manner that upholds respect for human rights and full observance of applicable international humanitarian law principles, with a view to bringing perpetrators to justice and stability to the region. The Commission urges the Government of Kenya to take the necessary measures to put an end to such human rights violations by the terrorist group and to ensure security throughout the country, in particular public places prone to attacks. The Commission welcomes the commitment of Member States who have shown their support to the Republic of Kenya by contributing troops and police forces to assist the AMISOM in the fight against the terrorist group Al-Shabaab. The Commission calls upon the Interim South West Administration in Somalia, the Inter-Governmental Authority on Development, the African Union, the United Nations and the international community to work together to put an end to the serious and massive human rights violations committed by the terrorist group Al-Shabaab. The Commission further calls upon the Kenyan authorities and the international community to provide assistance to the populations devastated by the Al-Shabaab massacre and destruction, especially the women and children, vulnerable under such circumstances. 2. (Document A, Para. ) Does the claim by Al-Shabaab that it is in war with Kenya trigger the application of IHL? What about the sporadic attacks directed against Kenya by Al-Shabaab? Does IHL apply to an attack linked to an armed conflict geographically removed from the actual site of combat? Even if the persons targeted are not linked to the conflict? Is there a nexus with the conflict sufficient to make IHL applicable to the attack on Garissa University? 3. (Document B, paras  and ) According to the Commission, were the military operations conducted by the Government of Kenya, in response to these attacks a law enforcement operation or engagement in armed conflict? 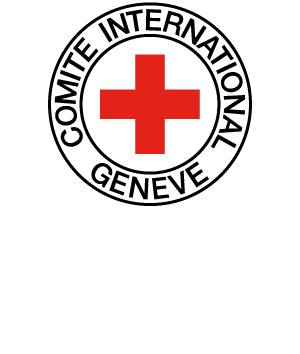 What is the implication of the Commission’s statement that the Government of Kenya respect both IHL and IHRL for the classification of the situation? In your opinion, does the application of one or the other body of law depend on the territory in which Kenyan security forces act? How does the Commission view the interaction between international human rights and IHL? 4. (Document B, para. ) In the Commission’s view, is there a link between AMISOM’s fight against the ‘terrorist’ group Al-Shabaab and the latter’s attacks against Kenya? Does it matter for the determination of the law applicable to the situation? 5. In determining whether IHRL or IHL applies to this situation, should we consider factors such as remoteness of the incidents from the heart of the battle field? Do you accept the view that the further we move away from the active conflict zone, the stronger the role that human rights law would play? Is the Kenyan government’s operation covered by the law enforcement paradigm on the use of force? By IHL? 6. (Document B, para. ) Why do you think the Commission restricts itself in calling different stakeholders to work together to put an end to the serious and massive human rights violations committed by Al-Shabaab? Was it because IHL was not deemed to be applicable or were there no IHL violations? Given the evolving interplay between human rights and IHL, and considering Articles 60 and 61 of the African Charter on Human and Peoples Rights, shouldn’t the Commission address violations of IHL? Can armed non-state actors such as Al-Shabaab commit violations of international human rights law?